Paramount is attempting to nail down the rights to The Stars My Destination, a super intense, space revenge novel that is pretty ripe for the big screen (if done correctly). 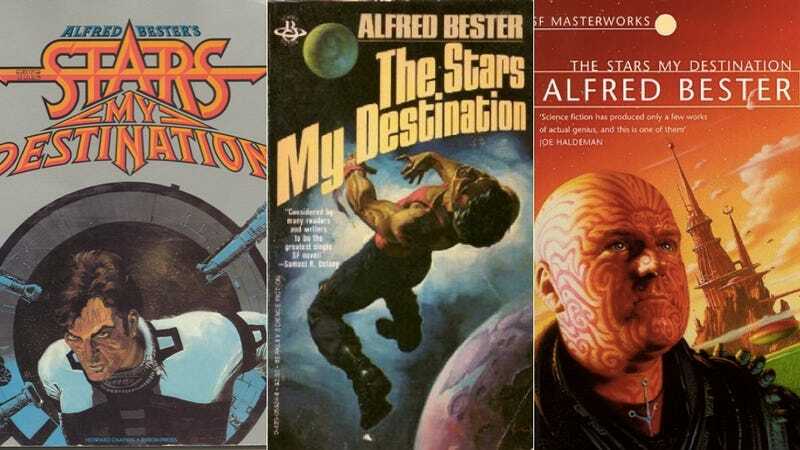 Deadline is reporting that Paramount is in the process of acquiring the rights to Alfred Bester's classic scifi novel The Stars My Destination. The story is centered around the resolute individualist Gully Foyle, who faces off against massive megacorps. Marooned in space for months, his solitude is broken by a rescue crew deliberately passing him by. Foyle is completely consumed by rage and hatred for those who ignored him, and spends the rest of his days seeking revenge. The producer behind this movie is Mary Parent, who has also worked on Pacific Rim, Godzilla, Pleasantville. We've been bellowing about the potential blockbuster greatness of this film adaptation for some time. Should be interesting.